Meizu M3 Note is a sweat update from its predecessor M2 Note and this smartphone is wonderful enough to be your next smartphone. First of all congratulations for those who have purchased this magical piece from the house of Meizu. Once again going through the specifications of M2 Note successor, it has 5.5 inch full HD display, ready to take on the flagship Redmi Note 3 smartphone. It’s an Octa core machine with 2 Gigs of RAM and 16 GB internal storage and runs on Android v5.1 Lollipop on top of Flyme UI. 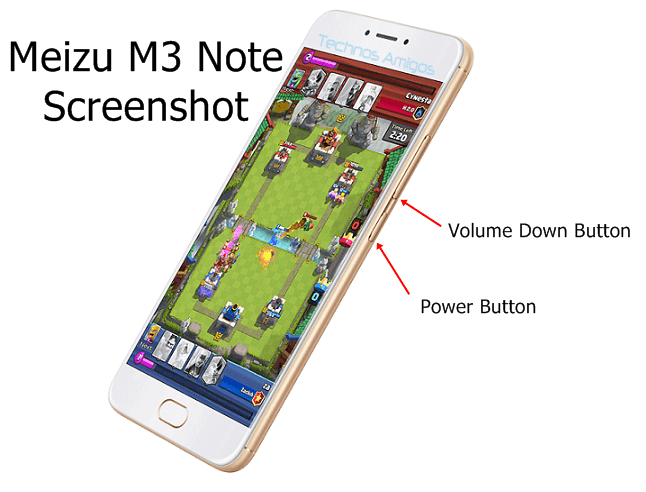 How to Take Screenshot on Meizu M3 Note? 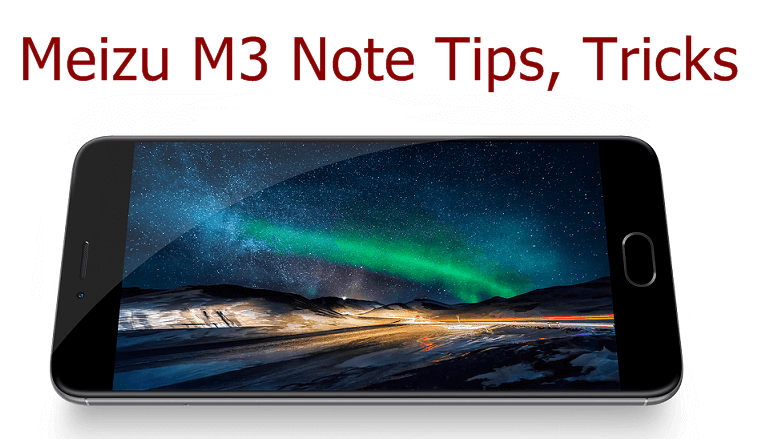 How to Check for IMEI Number on Meizu M3 Note? Press and Hold the Power button and Volume Down button together for 2-3 seconds. Remember your timing in pressing both the keys together is important. May times you may end up pressing something or the other but keep trying. All the photos taken are saved under Gallery in a special folder named Screenshot. There are other ways also around but to make things easier, the use of hardware buttons is one of the easiest one. Dial *#06# and checkout the output, that’s your IMEI number. On the box content you will find the IMEI number written. 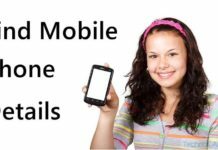 Note: Since M3 Note is dual SIM phone, you will have two valid IMEI number. For this as well, there are two methods existing. Before entering you should ensure that you have taken the backup of your important data. The Factory reset is available under Settings > Accounts and then select the option of Backup and Reset. Most of the times, backup and reset option is directly available under Settings as well. No matter whatever recovery mode that you have installed on your device, even after rooting, this method will work out because all the recoveries have one option in common, i.e., the ‘Wipe data/factory reset‘, though the naming convention might be different in each cases. So, Power of your device completely and then Press the combination of Power button and Volume up button together for few seconds. Remember, it’s the Volume Up button and it’s not a typo mistake, since the Volume Down button will land you to take screenshot on your device. Once you are through the recovery mode, you need to use the Volume Down and Up button for navigation and then the Power button to select a highlighted option. Now you known the controls and you also know to enter into recovery. Just select ‘Wipe Data/Factory Reset‘ from the recovery menu. To perform several development options, traditional way is to boot your device into recovery mode. Modern way is to get the Flashify app for Android but it requires root enabled. A lot of things you can do if you get into recovery mode and most often times its referred as “Engineering mode”. Now Press and Hold the Volume Up button and Power button together at once for few seconds until you see Meizu logo on the device. In the recovery mode, Volume Up/Down buttons are used for navigation, while the Power button is used to select a highlighted option. Currently there aren’t any root guide available. Do visit this space next time. The stock ROM is required when you have lost everything on your phone. Stock ROM is the first firmware that came up with your device. Here is the one for the phone in discussion. To fix GPS problem on Meizu M3 Note, you should run GPS test. To run a full test dial *#*#1575#*#* from your device and wait until the process completes. This will give you brief insight whether there is an issue on M3 Note GPS or not. It’s quite easy to enable USB debugging or Developer Options on Meizu M3 Note. You just have to Go to Settings > Developer Options and then tap on USB Debugging option. That’s it.